Pain is typically tricky to describe and not always easy for the untrained eye to see. If you are in a lot of pain – we can help you. Our practice has over 30 years of experience of pain relief and reducing inflammation and swelling. The Hatfield Practice emergency or reception team will advise over the phone or arrange an appointment asap. Treatment today will help to reduce the inflammation and start the healing process. Fast treatment may make a considerable difference to pain levels. In pain? We can help you now. Out of hours? Call our Emergency number: 075 909 242 66. We will provide clear, no-nonsense advice to you over the phone. Phone calls to our specialists are Free. We want to help. If your pain is severe, we may need to see you today. Try to arrange family and friends for a lift. Perhaps use a local taxi service to the Welwyn and Hatfield Practice. Perhaps take painkillers if advised. Use hot or cold on the area if advised. Please come with plenty of time to spare. Don’t rush and take your time. Please park right outside. We will help you inside if needed. It is essential to make sure you are comfortable and don’t aggravate your pain. The receptionist, physiotherapist, acupuncturist or osteopath will come and assist you if required. Treatment will reduce your pain as quickly as possible using our pain reducing treatments. Almost everyone feels better after their first treatment. Your specialist will provide a precise diagnosis and clear advice on what to do next. A suitable follow-on appointment if needed. We may contact you to see how your progressing. Please contact us anytime at all after your treatment. As with most medical conditions early diagnosis and treatment is vital for reducing pain and achieving a speedy recovery. 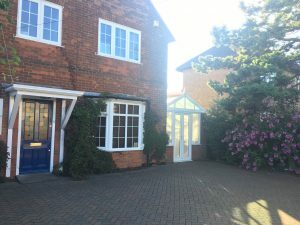 If you are in doubt about whether we can help, please contact The Hatfield Practice on Hatfield: 01707 88822, ask any questions, and we will aim to provide the best advice possible. Appointments usually take between 30 to 45 minutes depending on how complex your presenting condition and how mobile and sore you are. Your specialist will use a combination of calming and relieving techniques so that you feel better fast and recover quickly. We will, of course, advise if any further treatment is needed, when and how soon. If in doubt or worried, please ask to speak directly to one of our specialists. The Hatfield Practice is sometimes open on Sunday mornings. We can also provide home visits if you are in severe pain or you can’t leave home. Our specialist team will offer advice and will work at getting you pain-free in no time at all. In pain – what’s happening? Trapped nerves – may produce symptoms down the leg or arm. Very painful responds well to acupuncture. Arthritic pain– Sore swollen hot joints. Very often you may have a history of pain in the same area. Responds quickly to treatment. Muscle tear/strain – spasm, tender, pain with movement. Can be caused by exercise, overuse or gardening. Pulled ligaments – pain with limited range movement or aggravated by joint stress. Slips, trips or sport often cause ligament pain. Reflex muscle spasm – old injury area/severe stabbing. The muscle feels uneasy and feels like it wants to suddenly spasm. Spinal joint sprain – often worse when leaning back/up from sitting. Very painful, it’s hard to move. 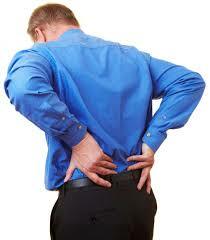 Osteopathy tends to resolve these problems quickly. Pulled rib – typically starts by coughing or a twisting movement. The pain radiates around your rib cage to the front. May feel like your being stabbed or feel a cardiac episode. Call for advice asap. Neck and back pain – slept on the floor or in a new bed, road traffic accident, sport or energetic gardening? Much more painful if the pain is directed down a limb. Radiating pain may suggest a disc type injury. Disc injuries, including sciatica – these tend to start in the back or neck then gradually the pain will progress to the affected limb. Pain can be moderate or very very severe. Disc injuries often improve reasonably quickly to Acupuncture. When less inflammation or Osteopathy / Physiotherapy. Sports injuries – We provide practitioners that have a special interest in sporting related injuries. Responds we to treatment by an Osteopath or Physiotherapist. With Sports injury early treatment is essential. Also needs clear management. If you have just suffered a recent traumatic injury, the following general advice may help if you are unsure please contact the Welwyn and Hatfield Practice or your own GP as soon as possible. REST AND TAKE IT EASY – rest the injured area for the first 24 hours if possible. Gentle movement (within your pain-free range) is advisable; but full weight bearing on a sprained ankle, for example, should be avoided. For back strain, carefully alternating between lying down and gentle walking can be of great benefit. If the strain is minor, keeping active is vital for your recovery. APPLY SOME FORM OF COMPRESSION– a supportive compression strapping can be applied, using crepe bandage or Tubigrip. It must not be so tight as to cut off the circulation – and do allow for swelling to occur. Raising the injured (and possibly swollen) part above your heart level will help limit the swelling and aid drainage. Physiotherapy, Osteopathy, Acupuncture & Massage – Home visits to your door. Bank Holidays, Christmas, late night and Sunday Appointments are charged at a premium rate mainly due to the time taken to travel to your house and/ or open the Practice. The emergency clinic is open for consultation and treatment (the cost is typically less than you can pay the plumber!). We will of course as always do our best to be sensitive and our try our hardest to settle your pain on the day where possible. The terms used above all describe back pain with radiations down the affected limb. Can be upsetting and the online or general advice for the condition especially from friends or online can be confusing. In general, a disc injury can present as Sudden aching in the back or neck or being unable to straighten without extreme difficulty are signs of herniated disc problems. Numbness, tingling, or weakness in one or both arms is another sign of a herniated disc. We have a competent and highly experienced team specialising in acute pain relief. We use proven techniques to reduce and manage your acute pain. Slight or extreme pain that radiates into the legs or arms – Pain that travels to the legs or feet. May feel like a shooting spasm or electric shock. This type of pain may be from the disc pressing against the nerve triggering a pain reflex. Numbness or tingling in the legs or arms – Any sensation of numbness, tingling or the feeling of a part of the body numbness or arm /leg ‘falling asleep’ can indicate a disc problem. The sensation may occur in the legs or areas surrounding the spine. Muscle weakness or unusual feelings – If the nerve is involved, it may interfere with muscle contractions and reflexes. There are many reasons for pain if you can’t reach us please call your Doctor and medical services for help. Paracetamol is the painkiller of choice especially the soluble type as it has a fast-acting effect. Aspirin and Ibuprofen can aggravate asthma, digestive problems and slow down healing. Do make sure you only take the recommended dose and do not mix with other medicines (including cold remedies). If in any doubt please talk to your GP or pharmacist. Although if you are in difficulty your doctor may prescribe a muscle relaxant or strong anti-inflammatory. Emergency Problems with bladder or bowel function such as loss of function or numbness could be a symptom of a herniated disc. If this is the case it should be treated and evaluated immediately at your A&E STRAIGHT AWAY. Don’t leave it or “wait and see “. The bowel and bladder nerves can become permanently damaged. Please call us if you are concerned or want advice on 075 909 242 66.